Why does the Moon wobble left and right, tip forward and back, and appear to change size as it goes through the monthly phases? Several simultaneous motions are taking place. Why does the Moon move like that? Is the explanation complicated? The answers might surprise you. Start the video. Click the gear icon ⚙ and set speed to 2. This animation is a product of the NASA/Goddard Space Flight Center Scientific Visualization Studio. This is a re-post of an older version on my blog with updates to some of the content. At any one moment, observers from Earth can only see 50% of the Surface of the Moon. Because the Moon exhibits something called libration, it is possible over time to see up to 59% of the lunar surface from Earth. In a sense, we can see around the limbs, or edges, because of some peculiar motions of the Moon. One of the more obvious and understandable lunar motions is the orbit around the Earth. Evidence appears as the changing phases we see in the video. As the Moon orbits, we see it in a different place each successive day or night. The Moon travels toward the east in the sky and takes about one month per orbit. The Sun always illuminates half of the Moon. The illuminated portion of the Moon that we can see from Earth varies. It is dependent on the Moon’s position in orbit. The animation below shows why we have a changing view. It is not to scale. The view is looking down from above the north pole of the Earth. The animation also shows that the Moon rotates and presents the same side toward Earth. This is synchronous rotation, also known as tidal locking. It is a common phenomenon for moons to be tidally locked with their planet. Sixteen of Saturn’s 60+ moons are tidally locked. The Moon does not orbit Earth in a perfect circle. The distance from the Earth varies between 28 and 32 diameters of Earth, seen to scale in the animation below. The viewpoint is to the side of the Moon’s orbit. The closest distance reached during each orbit is called perigee. The farthest distance is called apogee. We see plotted below the distance between the Earth and the Moon as it makes two orbits. The variation in the Moon’s distance is quite pronounced. All sizes and distances and shading are to scale in this view. Since the Moon is closer during part of its orbit, it is necessarily going a little faster, too. It travels a little farther to the east each unit of time. During apogee, eastward progress is a little slower each unit of time. The video at the top of the post takes into account those faster and slower speeds. It appears as a left-right wobble of the face of the Moon with each orbit cycle. The Moon looks largest to us at perigee. 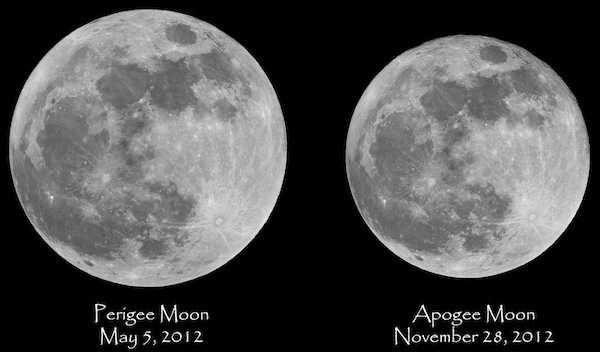 The difference between the apparent sizes at apogee and perigee can be seen in this composite image. The difference is at most about 14%. Many people claim it also looks bigger when it is low to the horizon. That effect is an optical illusion. We have accounted for the motion which changes the phases we see. We have also accounted for the left-right wobble by the fact the Moon doesn’t orbit at the same speed all the time. It speeds up and slows down cyclically. What about the apparent up-down, or fore-aft, tipping motion in the animation at the top of this post? The answer to that question lies in the fact that the plane of the orbit of the Moon is different than the plane of the orbit of Earth by about 5˚. This illustration shows a portion of the orbit of Earth with the plane of the orbit of the Moon for comparison. As a result, during half of each orbit of the Moon, it is above the plane of Earth’s orbit. We see it as much as 5˚higher in the sky. During the other half orbit, it is lower by as much as 5˚. During each month of orbit, the Moon appears higher and lower in a cyclic way. This higher-lower cyclical position changes our viewpoint and shows as an up-down tipping motion captured in the NASA animation at the top of this post. In addition, the axis of rotation of the Moon is tilted relative to its plane of orbit by a few degrees adding to the fore-aft tilt. Incidently…you might have noticed in the right part of the figure above that the shadows of the Moon and Earth do not coincide, or align. There are times during our orbit when the Earth, Moon, and Sun positions have the small possibility for alignment for an eclipse. The Moon must be directly in line with the Sun and Earth to cause a solar eclipse as in the top left. The Moon must also be directly in line with the shadow of the Earth for a lunar eclipse. This alignment syzygy for an eclipse is rare. For that reason, we don’t see them every orbit. It is more common for lunar eclipses, however, because the shadow of the Earth is much larger than the shadow of the Moon. Libations could enhance the librations, I suppose. Thank you for stopping by. This was something I’m really glad you blogged about. The so-called visual perceptions of these lunar phases. Thank you. It is phenomena we normally can’t see without dedicated telescopic observing. The animations by the NASA studio are fabulous. I’m glad you enjoyed them. 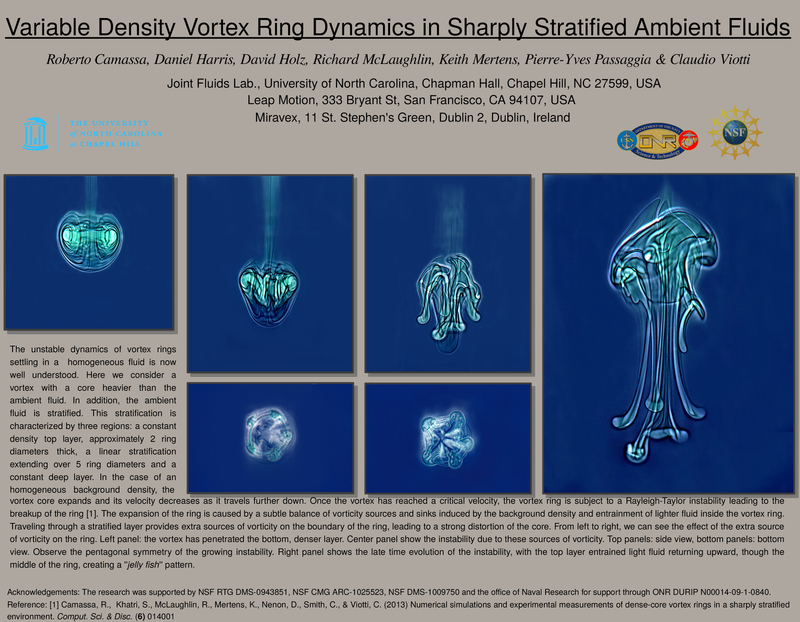 The fluid dynamics people get to have too much fun. There are some ‘incredible’ behaviors captured in those videos. This is truly a wonderful post. You have the ability to write in a manner that is understandable to all. Fantastic video usage. You are very kind to say that. Thank you. You really have a wonderful blog which inspires the girls to do more. Thank you for that! Did you watch the SpaceX launch? Here’s the full video. You can see the stage 1 reentry sequence beginning about 40:00. And look at this fabulous photo. So exciting. We were out this evening. I just finished getting caught up on the launch and return of stage 1 plus the deployment of the 11 satellites. Wow! What a success! What a big thrill. I loved seeing and hearing the people cheer for it. Isn’t this a fabulous view of the landing from a different perspective? X certainly did mark the spot. Watching those “kids” in the video is like watching NASA back in the day. Merry Christmas to you and Melanie. Fascinating to watch and amazing that we have technology to do so. The achievements of humans seem miraculous to me! I agree with you. Last week, the SpaceX private company had a huge success. They launched a multistage rocket that deployed 11 satellites successfully. The first big booster stage that got the system off the ground then turned around and safely landed itself upright back at Cape Canaveral. It was their 3rd attempt to do so. Dreams of 50 years ago coming true! A sentence in your linked “About the Moon” article says: “For reasons not fully understood by astronomers or psychologists, low-hanging moons look unnaturally large when they beam through trees, building or other foreground objects.” Cynical me is tempted to interpret the phrase “not fully understood [emphasis mine] by astronomers or psychologists” as meaning that astronomers and psychologists haven’t any idea why the low moon seems larger. I suspect they have some ideas rather than none. Just want to tell you that your explanation of the “apparent up-down” motion of the moon is wrong. It has to do with the orientation of the rotation axis of the moon with respect to the orbital plane of the moon around the sun (and not with the inclination of this plane with respect to the ecliptic). Imagine the axis of rotation of the moon being perpendicular to its orbital plane, then there would be no up-down motion of the moon – independent of the inclination of the orbital plane. 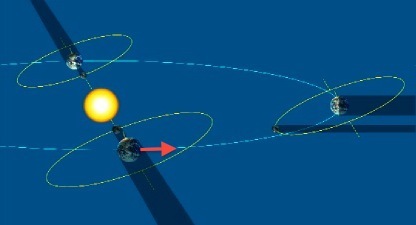 where the relevant angle of 6.68 degree is called “axial tilt of orbit”. Once again, the up-down motion is not due to the inclination of 5.14 degrees of the orbit, also shown in the graph. Sorry to be slow in response. Your comment got tossed into a spam folder. We’ve been on a long vacation trip. Thank you for the insights into the lunar motions. I will see about correcting it once I get back home.